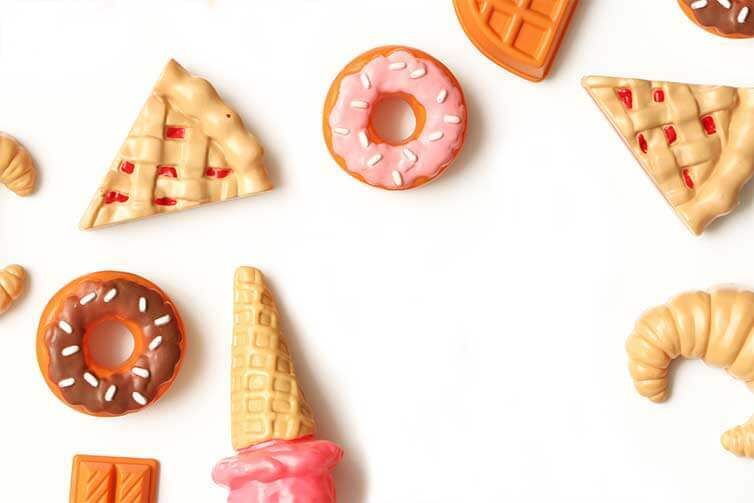 Processed foods have never been a bigger part of the North American diet, with a 2016 study concluding that ultra-processed foods account for 57.9 per cent of the average American’s caloric intake. But despite playing such a big role in our everyday lives, there remains remarkably little interest in funding public research to demystify this topic. 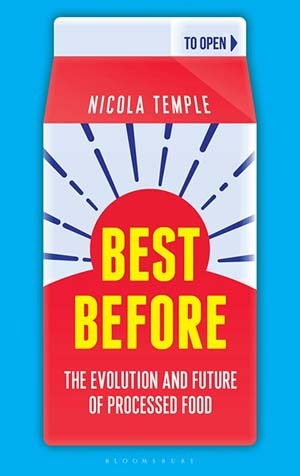 The general public itself remains confused, a knowledge gap author Nicola Temple is attempting to rectify with her new book, Best Before: The Evolution and Future of Processed Food. A Canadian scientist now based in the U.K., Temple worked for years as a biologist studying fish in a number of remote places around the world before turning her attention to explaining science to a broader audience. Her previous book, Sorting the Beef from the Bull, explored the forensics of food fraud. 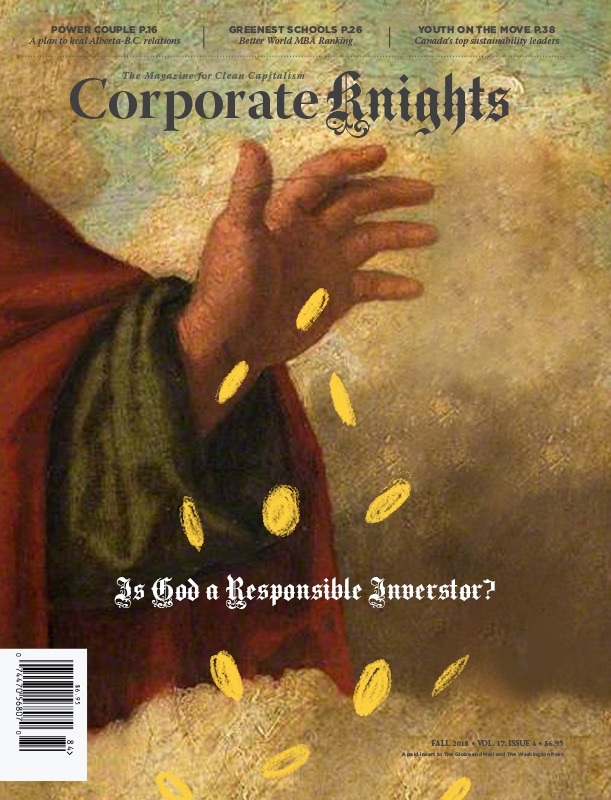 Corporate Knights recently sat down with Temple to discuss the myriad factors that popularized the use of processed foods, where the latest cutting-edge technology is heading and how to become a more informed consumer. CK: You demonstrate in the book that food preservation itself is far from a new concept for humans. Temple: There’s evidence that we’ve been processing milk into cheese for about 9,000 years. It is, possibly, why many of us acquired a mutation that allows us to digest milk into adulthood. The fact that we started to cook and cut our food meant that our faces could shrink because we didn’t need to put so much energy into growing huge jaw muscles, so it has literally shaped us as humans and contributed to our success as a species. Now there’s obviously a difference in eras – 4D printers seem much less natural than cooking a chunk of meat over a fire, so we’ve dramatically changed the ways in which we process food. What I try to get around in the book is that the more we explain some of the processes that are happening, it’s not for me to judge but at what point does it seem all unnatural and cross a line in terms of what you’re comfortable with? For every person that’s going to be different, but we’ve got to start having the discussion at least. CK: Corporations are the bogeymen of processed foods, but what other factors have contributed to their proliferation? Temple: Rapid urbanization due to the industrial revolution was momentous, because suddenly food started to travel larger distances and processing it to extend shelf life became much more important. It was one of the reasons why we suddenly had more tasteless block industrial cheese. Originally, all the different dairies would be making their own cheeses that were unique-tasting to all of those places. But with people living in urban centres, you’re starting to transport milk in. They would mix all of that milk together so that you’d have a more uniform product. The retailers themselves realized that they preferred the more consistent nature of the cheese. War is another big catalyst, bringing about developments such as tinned meat. Soldiers had been dying from malnutrition in Napoleon’s army back in the early 1800s, so he offered a generous reward for a better way to preserve food. Wars also caused shortages of supplies, which is why you get Nutella and margarine. Cocoa access was restricted, so they thought to mix in hazelnuts. Same with margarine – looking for vegetable alternatives to butter because they didn’t have as much access to animal fat. The role of governments can’t be dismissed either. The pasteurization laws in North America that said you had to pasteurize all cheeses made cheese less flavourful, so manufacturers had to find new ways of introducing those flavours back into cheese. The technology had advanced so much that they were able to isolate the flavour compounds that made a mature cheese taste mature, and then take those amino acids and reintroduce them into the cheese or find new ways to promote the natural bacteria of creating those amino acids. Sometimes, unrelated legislation had a knock-on effect on food culture. In the late 1800s, most middle-class homes in the U.K. had a young girl who did all of the cooking and cleaning. This corresponded with the introduction of labour laws that required domestic servants to have a half-day off. To work around this temporary absence, the concept of a dinner in a bag was created. A maid could make the entire meal and place it into a greased paper bag. The woman of the house would just pop it into the oven so she didn’t have to do any prep work or cleaning. This was one of the first easy meals but was brought about because of other changes in labour laws. Even when corporations decided to innovate around food, it was often by accident. The first TV dinner was essentially born out of the fact that Swanson had a massive oversupply of leftover turkey after one American thanksgiving, and they were brainstorming about what to do with it. A huge industry in food convenience eventually emerged, but it first stemmed from the simple desire to maximize surplus product. CK: What are the different gradations of food processing? Temple: If you can’t think of the raw ingredients that went into that product, then it’s probably ultra-processed. Some of the cereals where it’s been oozed out, where it’s some sort of paste, that might be classified as ultra-processed. Going down the range into things that are canned to increase their shelf life – if you feel like you could do that sort of processing in your kitchen, then it’s processed. Then there’s lightly processed, like cut vegetables. Now as I mention in the book, these things are not always as they seem. Processed cheese, for example, is not something that I think that I could make in my kitchen, nor would I want to. But the reality is that it originated as cheddar cheese, stirred vigorously, and you could make that in your kitchen if you wanted to. Then there’s the process that some of the apples go through – I don’t know if it’s the same in Canada, but here in the U.K. they’ll be photographed a hundred times to measure the red to green blush content, and then sorted accordingly. That’s definitely considered light processing, but it’s far more technical, I think, than most people would expect it to be. CK: What are some of the newest, cutting-edge forms of food processing? Temple: 3D and 4D printing – I don’t think a lot of people know about how common 3D printing is becoming. Lots of restaurants will have them to do chocolate garnish work, for example. Scientists are also researching all sorts of new ways of creating foods under pressure. So far, it’s not been economical and has changed the product more than desired, but that’s definitely something they’re working on. Nanotechnology is being explored both in the actual food and the packaging. Using nanotechnology to create a sensor that turns your package red once the food is no longer good, or when it detects a certain threshold of bacteria or an indicator that says it’s not as fresh as it says that it should be. Nanotechnology could also be used to deliver nutrients more effectively or to apply nanosugar – increasing the surface area so you don’t have to use as much sugar to get the same level of sweetness. Of course, cultured meats are more and more in the headlines as well. CK: While the slow-cooking movement has certainly taken off, processed foods appear here to stay. How can they form part of a more environmentally sustainable and healthy future? Temple: That is a gigantic question. Processed foods have their role to play, but we should ensure that food is a huge part of education from the beginning so the next generation doesn’t lose the skill of being able to cook. My grandmother used to make her own clothes, but I can barely sew on a button. In two generations, with ready meals and convenience foods, do we run the risk of losing the skill of cooking too? I wouldn’t want that to happen, so there still needs to be this food education component. Let’s teach our children about healthy foods so that when they do read labels, they will understand what healthier choices are. On the other end of things, I think that if we become more rational consumers we can avoid unnecessary public health scares. There was one recently about the fact that manufacturers put glycerol in our tortillas, which sounds dreadful. But in fact, it’s an absolutely natural compound that is found in all plant and animal fats. If we can have more cogent conversations as consumers, I hope that this would open up space for the industry to be more transparent on some of the processed foods and what they do. Then there’s also this incentive for government to work harder towards making healthier choices among processed foods more obvious, which I don’t really have a silver bullet solution for. CK: What advice do you have for people looking to act as informed consumers? Temple: Everyone has their own priorities when they’re going to the supermarket, whether it’s ethics, health, cost or time. When you’re looking at foods and have really decided that you need a convenience food, then take a few minutes to look at the ingredient list. If there’s a whole bunch of things on there that you don’t understand or recognize, see if there’s a better option in the same food category. Now there are some counter-intuitive factors when making decisions. People tend to look down their noses at frozen foods, but from an environmental perspective and often from a nutritional perspective they might be a better choice than chilled meals that look fresher. Those chilled meals have often had to travel quite a distance and may have more additives to help increase their shelf life. They’re kept in these open chillers, which are not efficient in terms of refrigeration, so from an environmental perspective they’re not a better choice versus frozen. Frozen foods also don’t need many additives to keep them preserved – they’re frozen. The final thing is I’d ask people to be realistic about whether you don’t actually have time, or whether you’re choosing to not spend time cooking. Because I think that’s a big issue – people often say “oh, I don’t have time to cook,” and that’s fine if it’s the case. But perhaps you actually don’t enjoy cooking, don’t feel like cooking or would rather spend time on Facebook, whatever your choices are. But be honest about it.